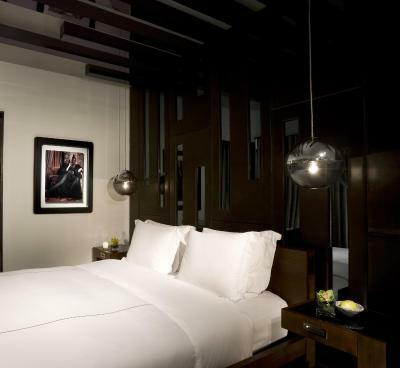 Lock in a great price for SIXTY Beverly Hills – rated 8.1 by recent guests! All staff but especially valet staff were great and great with my family. We had children 7 and 10 on this trip. The staff definitely welcomed family. Most of the guests were adults, no kids. Muffins were amazing!! I enjoyed everything about the property. Their staff treated us so well. We enjoyed our stay at this lovely hotel. We’re definitely coming back again and recommend anyone who is staying in Los Angeles for the weekend. From check in to check out, the service was excellent. I liked the location, close to everything we needed. The stuff was friendly. The room was clean. The rooftop bar was with a beautiful view of the city. 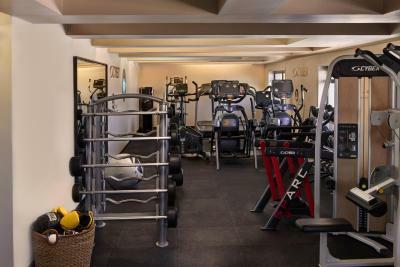 rooftop , location , fitness center , pool , awesome staff ! Good location, five mins if you walk to Rodeo street. Staffs are really nice and helpful. Complimentary upgrade, beautiful hotel with very friendly staff. SIXTY Beverly Hills This rating is a reflection of how the property compares to the industry standard when it comes to price, facilities and services available. It's based on a self-evaluation by the property. Use this rating to help choose your stay! 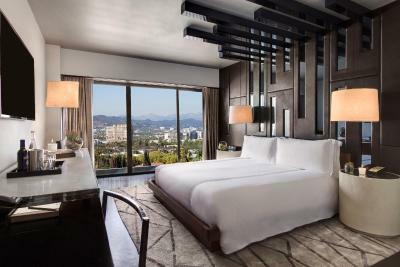 One of our top picks in Los Angeles.Located in downtown Beverly Hills, California this 4-star hotel features a gourmet restaurant and outdoor rooftop pool and lounge with panoramic city views. Each modern room features a 55-inch LCD TV. 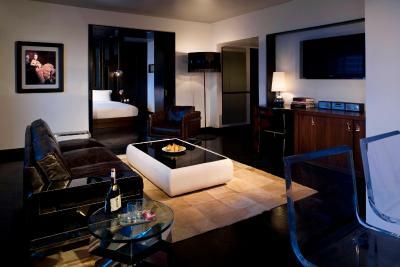 The stylish rooms at SIXTY Beverly Hills feature dark hardwood floors and rich colors. French step-out balconies, iPod docking stations and terry bathrobes are offered in every room. Caulfields at Beverly Hills SIXTY serves contemporary American cuisine for breakfast, lunch and dinner. Signature drinks and snacks are served at the rooftop bar, Above SIXTY. 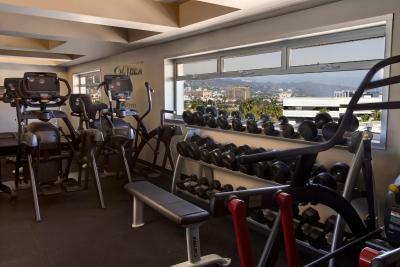 Guests have free access to the state-of-the-art gym and the business center. The 24-hour concierge desk can arrange various activities and a car service is available. 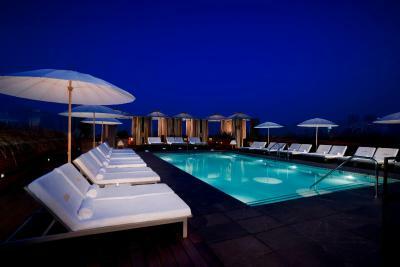 The University of California and Greystone Mansion are 2.5 mi from this boutique hotel. 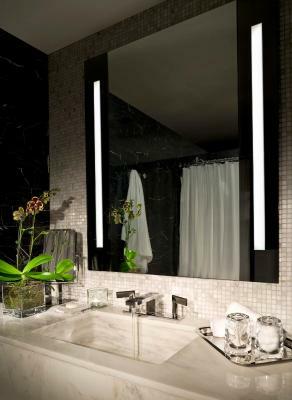 Luxury shopping along Rodeo Drive is less than 1 mi away. When would you like to stay at SIXTY Beverly Hills? 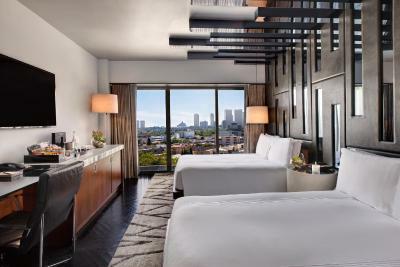 This deluxe room features sleek, modern furnishings with ebonized hardwood floors and a full marble bathroom, that includes terrycloth robes and boutique amenities. The room also features a 55-inch flat-screen TV with premium cable channels, an in-room movie library, an iPod docking station and a mini-bar stocked with gourmet snacks. - A French step-out balcony is available in most rooms of this type. 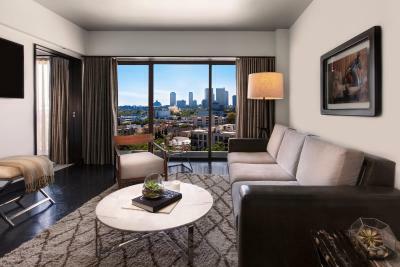 Offering a private corner location, this room features modern furnishings with ebonized hardwood floors and a full marble bathroom with an over-sized shower, terrycloth robes and boutique amenities. The room also features a 55-inch flat-screen TV with premium cable channels, an in-room movie library, an iPod docking station and a mini-bar stocked with gourmet snacks. This suite features sleek modern furnishings with ebonized hardwood floors, 2 balconies and a cozy lounge area with a queen-size sofa bed. It has has a full marble bathroom with a shower, terrycloth robes and boutique amenities. The room also features a 55-inch flat-screen TV with premium cable channels, an in-room movie library, an iPod docking station and a mini-bar stocked with gourmet snacks. This room features modern furnishings with ebonized hardwood floors, a French step out balcony and a full marble bathroom with an over-sized shower, terrycloth robes and boutique amenities. The room also features a 55-inch flat-screen TV with premium cable channels, an in-room movie library, an iPod docking station and a mini-bar stocked with gourmet snacks. 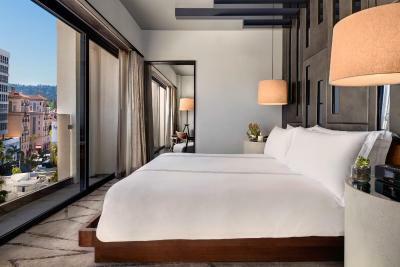 This room features sleek, modern furnishings with ebonized hardwood floors and a full marble bathroom, that includes terrycloth robes and boutique amenities. 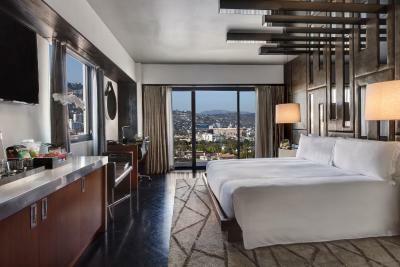 The room also features a 55-inch flat-screen TV with premium cable channels, an in-room movie library, an iPod docking station and a mini-bar stocked with gourmet snacks. 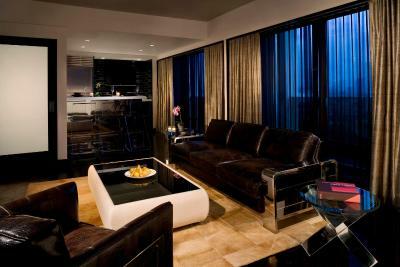 A separate sitting area, a 55-inch LCD TV and a balcony with views are included in this air-conditioned suite. House Rules SIXTY Beverly Hills takes special requests – add in the next step! SIXTY Beverly Hills accepts these cards and reserves the right to temporarily hold an amount prior to arrival. Please note: The credit card used for making the reservation must be presented upon check in, along with a valid photo identification. Please note: The property will pre-authorize the guest's credit card at the time of booking and the remaining balance will be pre-authorized at the time of check-in (accommodations and tax) and a USD 150 security deposit per day. The security deposit will be fully-refunded upon check out, subject to a prior damage inspection of the property. All special requests cannot be guaranteed and are subject to availability upon check in. When you book a room with breakfast included, you will receive breakfast for two people. Or, if more than two guests are in the room, you will receive a USD 50 credit towards your total breakfast meal. Smoking is only allowed on the rooftop and the valet area out front. There is no smoking permitted in the guest room or on the balconies. Lots of ridiculous, unnecessary charges that greatly increased the cost of our stay. E.g. no tea or coffee making facilities in the room - ordered two cups of tea to the room and it cost $25, without a tip!! Staff are very slow, a blonde girl was very rude too. It was an okay experience, but the silly charges took the good out of the reasonable room rate. The women who was the manager when I first checked in was not helpful at all. We called ahead before we boarded our flight to say we needed to check in early. We were told that we were able to do so, and once we got to the hotel I had to wait 2 hours for a room to be ready... was not happy at all! And she was very rude. A couple of other guests agreed once we got chatting. Also when wanting to go the the rooftop pool a lot of non-hotel guests took up all the beds, would be great to be able to reserve a bed for your room. Paying a lot of money to stay there would be nice to have that priority. I always enjoy staying here. It was my second time staying at the Sixty BH, and the room, as always was of great quality and the cleaners do an amazing job as well! Lighting inside the room a bit dark. The room service a bit over priced. 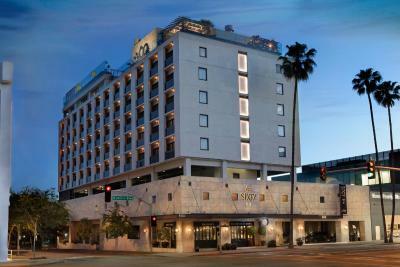 Nice hotel located in the heart of Beverly Hills. Clean hotel, friendly staff and in a very nice area. You only need 10 minutes to reach Rodeo. The hotel had only one small elevator functioning. The second elevator was broken for our entire stay. We stayed for 6 days and never saw any effort to fix the other elevator. Totally spoiled our stay, we would wait sometimes 10 minutes waiting for the elevator, many times it was packed with hotel maintenance crew repairing the hotel. Regretted staying there. The check in process took long. The room was not ready and had to wait for about an hour. The location is great. Friendly staff. No complimentary water, housekeeping did not clean room properly or refill bathroom amenities, room too dark, no aircon in the gym. There was a conference room outside my hotel room. Work me up in the morning. I’m allergic to dust. There are some dust in the room. I can't really think of anything, but I wasn't there for long. Great location for what I was in LA for. No hot tub near pool and leaky showers.